As a frugal vegan, I’m always shaking my head that so many people are willing to spend so money on overpriced, premade hummus in supermarkets and restaurants! In Charlotte, Harris Teeter store brand hummus is $4 and a name brand of hummus (Sabra) is $5. At restaurants like Dilworth Neighborhood Grille, a hummus appetizer is $6.95. Yet you can purchase a can of organic chickpeas for under $1, a can of non-organic chickpeas for $.67, and a one pound bag of dried chickpeas for just over a dollar. You’ll have to make a small investment for a bottle of tahini (about $6 or $7), but keep that bottle refrigerated and it will last a long, long time. Anything else you fling into hummus is likely to be stuff you have sitting around your kitchen, anyway – a squeeze of lemon, a clove of garlic. And … making your own hummus is fast. (Prep and cleanup, 10 minutes max.) Just give it a little refrigerator time to chill. And … it tastes sooo much better than store bought. And … it’s a perfect outlet for culinary creativity. Learn a good base hummus recipe first. Then start tinkering with it. Add a hot pepper. Add some green olives. Or some black olives. Add that little bit of fresh parsley or basil you have leftover from another recipe. Add a little curry powder, garam masala, or smoked paprika. 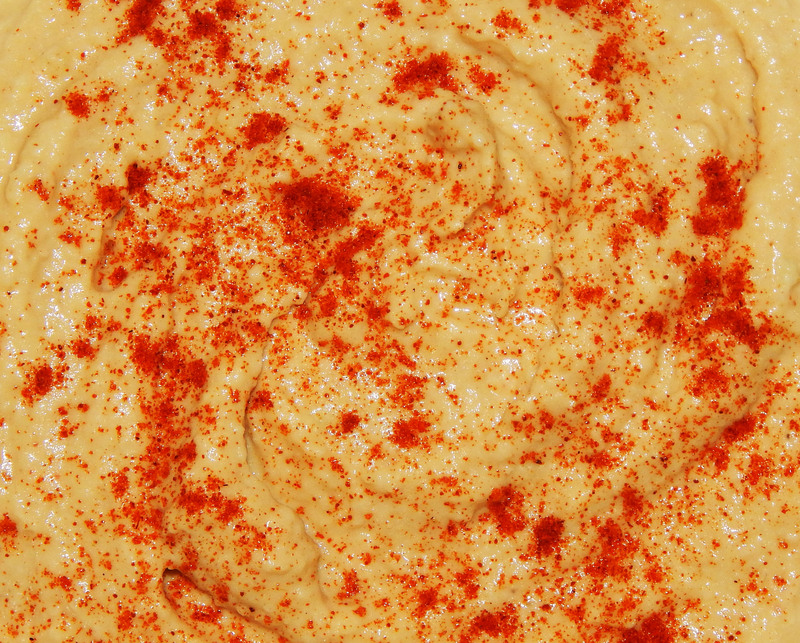 Come up with your own trademark hummus to take to parties. 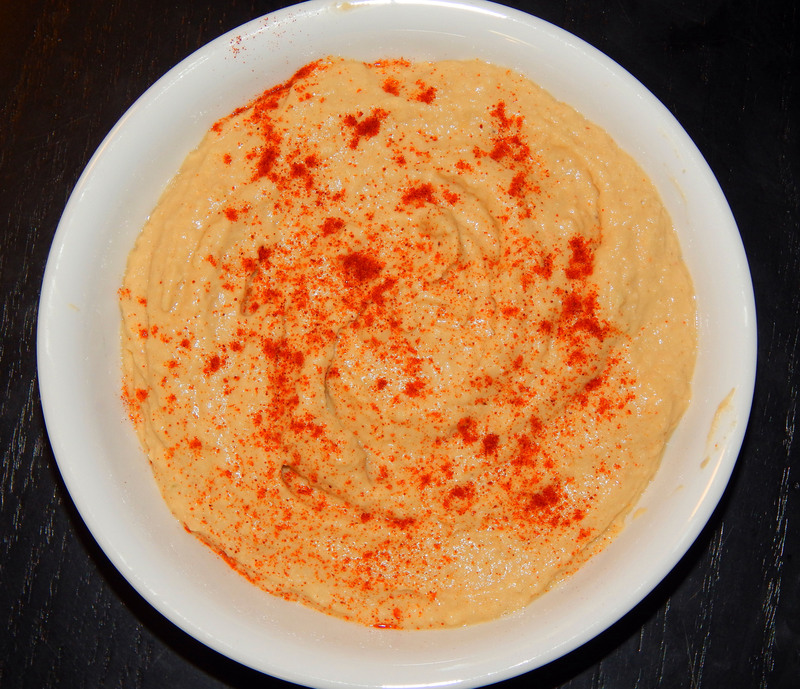 (I make a killer chipotle hummus and a beyond awesome curried jalapeno hummus. Recipes to follow soon.) You can even experiment with different beans – such as white beans or black beans. Mind, I’m not saying NEVER purchase hummus. When traveling and looking for something – anything! – vegan to eat, those little plastic containers of pureed chickpeas are a cause for major celebration. And you may still want to buy some specialty flavors of hummus – such as Roots Thai Coconut Curry! And the hummus from a good Middle Eastern or Greek deli – Yep, I will buy that! But as a frugal vegan, you owe it to yourself to give homemade hummus a whirl! Here is my can’t-fail base hummus recipe. Add all ingredients to a blender or food processor. (A blender will get it creamier but a food processor will work just fine.) Blend/process. Chill for at least one hour in the refrigerator. Garnish with a sprinkle of paprika, if desired. This is optional; it just makes your hummus look pretty if you are serving it as a dip. Could this BE any easier? The easiest way to liven up your hummus dip if you’re unsure about changing the base recipe? Put the hummus in a bowl and scoop a small well in the center. Fill with chopped green olives or chopped black olives (kalamatas are nice) or chopped drained pimientos (tastes similar to roasted red pepper, but usually cheaper). Swirl slightly before serving. Traditionally hummus is served with pita chips, but pretzels and even thin toast work well. For gluten-free snacking, opt for a range of raw veggies like carrots, celery, sliced bell pepper, and small cherry tomatoes. It’s also good with gluten-free crackers. I’ve been making my own hummus for a few months now (use a recipe from one of the Engine 2 cookbooks). One of my coworkers loves hummus and loves the hummus I make and even requests me to bring mine to our work potlucks. Will have ti give your version a try sometime. I’m sure your version is great – would love the recipe! Isn’t it super-easy to make? Can’t believe the big bucks people pay for hummus. This is so true. I make my own now for many years and it simple tastes the best. Black bean hummus is also good. Nice Post !!! Thanks! Black bean hummus IS delicious, isn’t it? does anyone know WHY hummus at Harris Teeter is NOT marked VEGAN ? is there a non-vegan secret ingredient that they add to it ? Same applies to Sabra hummus , and Trader Joe’s hummus . None of them say – it is – Vegan on the package ?